Growing up poor and abandoned Fayetteville, North Carolina, La’Shanda Holmes had no idea where her life would take her, certainly not to a career as a helicopter pilot for the U.S. Coast Guard and a position with NASA. After losing her mother to suicide at age two, Holmes was adopted by her aunt who would later remarry to an abusive man. Due to turmoil within the household, Holmes was put into foster care, only to face more depression, loneliness, abuse and instability. Between her junior and senior year of high school, Holmes said she stayed in a total five homes. Holmes was in the program from 16-years-old until 21 when she aged out. “My greatest comfort was prayer,” Holmes said. “My situation had become pretty depressing and the isolation was overwhelming. So, I turned to God. Holmes was a junior in high school when she decided to turn her life around. 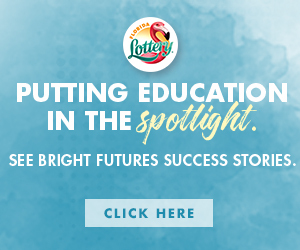 One of the keys to her success was Linda and Edward Brown, who adopted her at age 17. She still calls them her parents. She graduated from high school at the top of her class and enrolled in 2003 in her dream school, Spelman College. While volunteering at career fair, she spoke to a U.S. Coast Guard recruiter and met Lt. Jeanie Menze, the first African-American female aviator in the Coast Guard. Holmes decided then she wanted to fly. 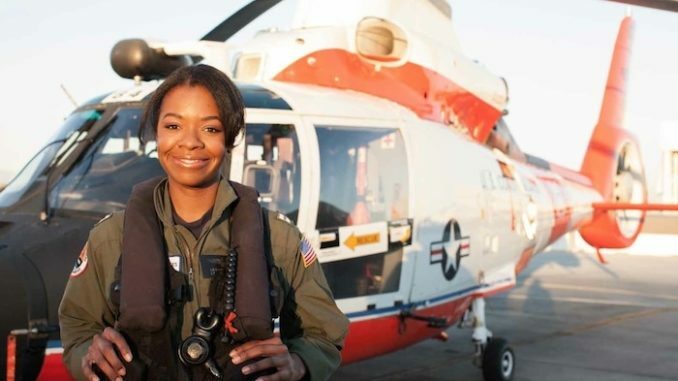 She joined the Coast Guard in 2003, graduated Spelman in 2007, graduated from Officer Candidate School in 2008 and at the age of 25, completed flight school in 2010. Once graduating from her aviation program, Holmes became the first African-American female helicopter pilot for the Coast Guard. Today, Holmes, 31, is a lieutenant and in Washington working as a special assistant to the administrator of NASA in a White House fellowship program. She said the sky’s the limit – pun intended. Holmes is currently finishing up a master’s degree in administrative leadership and plans to write a book.